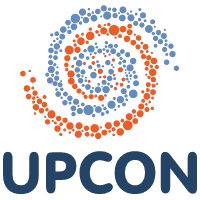 UPCON15 will also provide the platform for young professionals who have recently completed the PhD theses in the area of Computer, Electronics, Electrical Engineering and Technology. The PhD degree must be awarded within the duration from January 1st, 2014 to September 30th, 2015. The submitted theses will be shortlisted/evaluated by the panel of experts. Later on, the shortlisted candidates have to register and present their work at the conference. One of the thesis presented in each area will be awarded as the "Best PhD Thesis Award". The candidates are required to submit the pdf copy of detailed synopsis alongwith the published research papers related to the thesis work. These documents should be submitted on or before October 1st, 2015 through email at upcon15iiita@gmail.com.